This InkOwl-brand laser refill kit contains all you need to refill your CANON E16, E20, E31, or E40 cartridge twice. 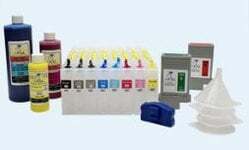 This InkOwl-brand laser refill kit contains all you need to refill your CANON E16, E20, E31, or E40 cartridge 4 times. This InkOwl-brand laser refill kit contains all you need to refill your CANON FX-3 cartridge twice. This InkOwl-brand laser refill kit contains all you need to refill your CANON FX-3 cartridge 4 times. 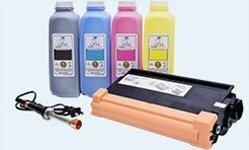 This InkOwl-brand laser refill kit contains all you need to refill your HP 92275A (75A) cartridge twice. This InkOwl-brand laser refill kit contains all you need to refill your HP 92295A (95A) or 92295X (95X) cartridge twice. This replacement cartridge is a great substitute for high-cost brand-name CANON E40 cartridges. This replacement cartridge is a great substitute for high-cost brand-name CANON FX-3 cartridges. 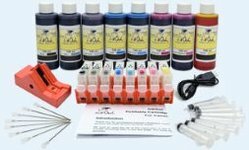 This InkOwl-brand laser refill kit contains all you will need to refill your CANON FX-3 cartridge with premium MICR toner. 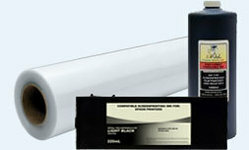 This laser refill kit contains all you will need to refill your HP 92275A (75A) cartridge with premium MICR toner.